ZANU-PF women's league boss Mabel Chinomona says ex-President Robert Mugabe's Blue Roof mansion in Harare's elite Borrowdale neighbourhood would now be reduced to rubble by a "bazooka" if he lived in a country that was not ruled by a tolerant leader such as Emmerson Mnangagwa. The outspoken politician was addressing a women's league meeting in Harare on Thursday where she also said the 95-year-old veteran leader was not guaranteed of burial at the national heroes acre because of questionable liberation war credentials. 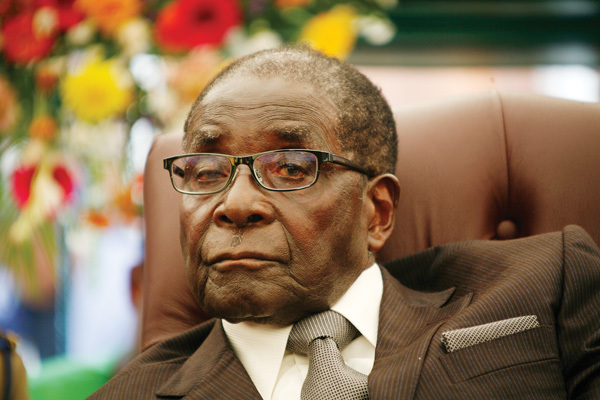 Addressing guests during a private event to celebrate his 95th birthday, Mugabe slammed his former deputy for his high-handed approach to dealing with civil unrest, saying some leaders thought being President meant killing innocent civilians. Mugabe was referring to a brutal crackdown visited upon those suspected of taking part in last month's countrywide protests which were torched by a steep fuel price increase by government. However, Chinomona, once ridiculed for being an overzealous Mugabe praise singer, was evidently annoyed by her former boss's rants, saying Mnangagwa has been too tolerant of his former the veteran politician. "If this was in another country, his house should have been destroyed by a bazooka. The mansion itself," she said, adding that Mugabe has refused to return Mnangagwa's courteous gesture towards him. Chinomona, who is also Senate President, said the once powerful leader, did not directly take part in the country's liberation struggle but was handpicked for the lofty position. Because of that, she said, Mugabe should not be guaranteed of a place at the national shrine, which is the preserve of the country's liberation war luminaries. "He (Mugabe) did not wage the war. There are those who died during the war having chosen him as leader and now we hear he should head for a Zanu-PF grave. Why?" Chinamano said to loud cheers. Should Mugabe be denied the greatest honour of the land, his words would have come back to haunt him. The ex-leader once vowed during his tenure that burial at the national heroes' acre was only for those who fought in the war. He urged those who have demanded the honour to be extended to sports, arts and other luminaries to find their own hill to bury their idols.